You can now order autographed copies of my books, including the new edition of the Oxford University Press three-volume baseball series, through my website. Click here to order. Check the Speaking Events page for an updated list of where I will be in 2018. My latest trilogy of novels Don’t Admit You’re In Assisted Living was published by Bluewater Press in late 2017. The books are gentle satire that follows mysteries among the residents in an assisted living facility. 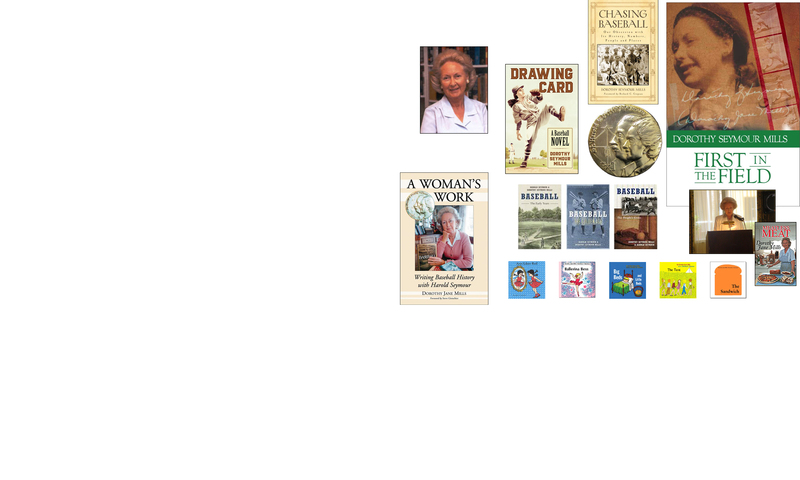 I will be speaking about these books at assisted living facilities near my home in Florida. Read more about these books, what the Naples Daily News had to say about my book reading, or order autographed copies. I Know What My Cat Is Thinking, has been published and is available at barnesandnoble.com as well as amazon.com, in both paper and electronic form. It is a book for grownups in which my cat is my worst critic. Read more about the book. My newest historical novel for McFarland Publishing Company is about a woman ballplayer titled Drawing Card: A Baseball Novel. Autographed copies are now available for order. Read a preview of the book from the Ft. Myers (Fla.) News-Press and reviews from Florida Weekly, SABR members, the journal Arete and on Amazon.com. I wrote a blog post about the book for 9 Ways, the website of Gloria Feldt. • Read “Reflections on a life in baseball research,” originally published in the SABR Deadball Era Research Committee’s February 2015 newsletter. • Read “MLB Searches For Talent, But Not In The Right Places,” my article published online by Seamheads.com in May 2014. • Read “A Girl Is Embarrassed,” my article published online by Seamheads.com in April 2014. • Read “It’s our national game, too,” my article published online by The Hardball Times in June 2012. • The National Baseball Hall of Fame has recognized me as a premier baseball researcher. “First in the Field: My Journey as the First Woman Baseball Historian” (Thinker Media) is an 8,000-word eBook available for the Kindle, Nook or iPad. Learn more here. All three books in the Katya Becker Trilogy are now available as eBooks from Thinker Media. They were released with newly designed covers. Meatless Meat is now available as an eBook from Thinker Media.